A pack and play is more than just a simple play yard. They are a place for your baby to sleep and a convenient option for parents that are on the go. Of course a pack and play has all the normal benefits of a standard play yard. A pack and play is a place where your baby can play and stay out of harms way, and they also have the advantage of restricting mess to the area as defined by the the pack and play. A cheap pack and play is the best option for making travel with kids easier. The best travel pack and play if different for everyone, but the main feature of travel pack and plays is that they are lightweight and easy to fold. They also come with a travel bag making them ultra portable. The best pack and play for an infant will come with bassinets and changing stations making them suitable for newborns. Below you will find the best rated pack and play options available. Read the information and baby pack and play reviews below to find a top rated pack and play for 2018. Compare some of the best rated pack and play options in the table below. You will find a full review of each top pack and play below, including the best travel pack and play and baby pack and play reviews. What is a Pack and Play? If you are still scratching your head and thinking “whats a pack and play” you are not alone. There is confusion about the differences between a pack and play and other portable cribs which will be discussed more below. The main thing to know is that a pack and play is basically like a play yard, but it is even more portable and always suitable for sleep. The term ‘Pack ‘n Play’ is almost exclusively used by the company Graco who have named their play yards as pack and plays. However, the term has now become mainstream and pack and plays have an identity of their own. A pack and play has the advantage of being portable, lightweight, easy to assemble and great for travel. A pack and play can be set up by unfolding it and stored the same way. Although most pack and plays are simple, this is not always the case. Some pack and plays are ‘3 in 1’ options where a bassinet and changing station is included in addition to the pack and play. These options are suitable for newborns. There is a lot of debate about whether using a pack and play as a child’s primary sleeping area is acceptable. The answer is yes – a pack and play can be used for sleep with the appropriate mattress. This also depends on other considerations much the same as a crib, such as how tall your child is and if they can climb out. This raises the question of how a pack and play actually differs from cribs and play yards. To compare, lets discuss what each of these options offer. A crib is an enclosed area used for the sole purpose of sleep. Although some cribs can feature extras such as toy bars and bassinets, the intended use for a crib is sleep. A crib requires a mattress that is suitable for your child’s age. This differs to play yards which are an enclosed area for the purpose of play. This is a broad definition and includes within it play yards that are both suitable for sleep and ones that are not. This means that many of the play yards that featured in our play yard reviews can be considered pack and plays. In a lot of ways a pack and play offers the best of both a crib and a play yard – being able to be used for both sleep and play. A pack and play will also require a mattress or mattress pad that is suitable for the age of your child, and fits the size of the pack and play. This can be slightly more difficult to find as many pack and plays are not regular sizes. One of the major advantages of a pack and play is that they are portable. They are easy to fold and put up again making them an ideal option for travel, therefore the best portable pack and play for travel is lightweight and folds easily. Most brands recognize that the portability of pack and plays are a feature parents love and therefore most also include a travel bag. Pack and plays are also a great option for traveling with infants that require more support. This is because many can include a bassinet and elevated mattress in addition to the pack and play. These features usually push up the weight of the pack and play, and whilst most pack and plays are lightweight, they can differ greatly and weigh over 30lbs. Of which is the best pack and play for travel for your child will depend on their age, which we will discuss below. A major advantage a pack and play has over most play yards is that it can be used as an area to sleep, making them a great option for travel. If your child will be sleeping in the pack and play you will need an appropriate mattress. The best pack and play for sleeping infants will need to be firm, and most pack and plays that are suitable for infants will include a suitable mattress. However, as your child ages a hard mattress will become less ideal and you may need to purchase an additional. Many pack and plays are perfect for use with the Dream On Me 3″ Rounded Corner Playard Mattress which is well regarded as the best pack and play mattress for its comfort, and can be used for children over 6 months old. For safety as well as comfort, it is worth investing in a good quality mattress especially if you will be using the pack and play regularly. A pack and play can be found for infants right up to toddlers, and they are able to be used until the child is able to climb out by themselves. However, this does not mean that if a child can not climb out that the pack and play is a suitable option for them. Once a child reaches around 35 inches they are generally considered tall enough to climb out of the pack and play. Not all pack and plays will be suitable for infants. The best baby pack and play for infants will include a bassinet and changing station, as well as a mattress that is hard and can be inclined to support an infant. The older your child gets, the simpler the pack and play can be and an infant bassinet will not be required. The size of the pack and play also matters. The older your child gets the more room they will need to play, and there are several options that allow for this. The best pack and play needs to be two things – portable and comfortable. The Fisher-Price Ultra-Lite is exactly that. This pack and play scores so well as it is lightweight and incredibly easy to use. It is simple to put up and has several features that make it great. The pack and play can be used as a place to sleep but can also be used for diaper changes and play. The sleeper is inclined and also removable to adapt to the pack and play. It also has an insert that is machine washable. The padded play yard mattress is of good quality and should be suitable for most children. Weighing only 15 lbs it is definitely a lightweight option. 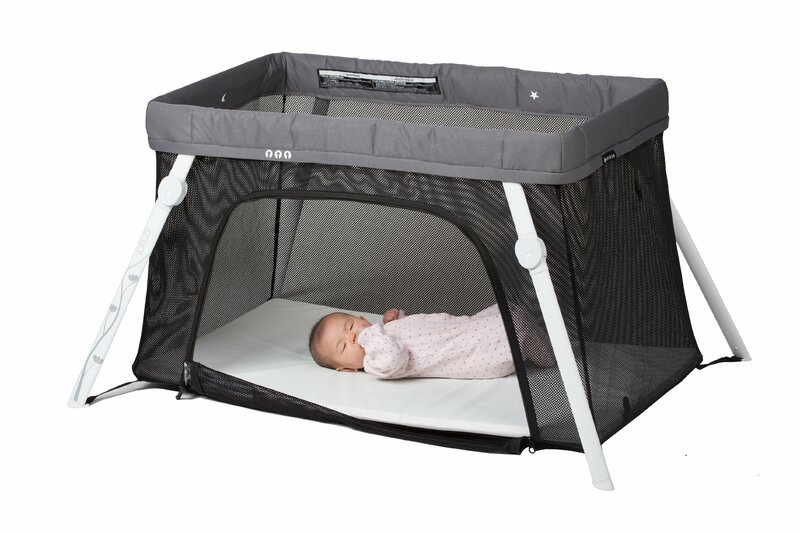 The pack and play works well as a travel crib and can be used for an older child without the sleeper insert. It is easy to travel with and simple to check in at an airport. Making travel easy, there is a travel bag included. The bag is attractive and much like the pack and play, it is easy to carry around. A pocket on the side helps with changing when using the change table. We did find that the bottom of the pack and play can get bunched up, but this is more of a cosmetic issue than structural and does not impact the performance of the play yard. This pack and play does what pack and plays do best. It makes traveling easy as it is easy to fold and has no pieces to lose, and provides a comfortable place to sleep. Graco are the makers of the original pack and play and have some of the most popular pack and plays on the market. They have proven to be a reliable option over the years and offer sets to suit all needs. This particular pack and play is a simple and cheap baby pack and play for travel. This pack and play may be low in cost, but it is still of good quality. When you travel you do not want to waste time setting up a pack and play. The smart fold feature makes collapsing the pack and play easy and is something that Graco is popular for. When folded the pack and play can stand making it convenient as it can easily fit into tight spaces. The wheels and feet of this pack and play fold automatically and this appears to be a signature of Graco pack and play options. 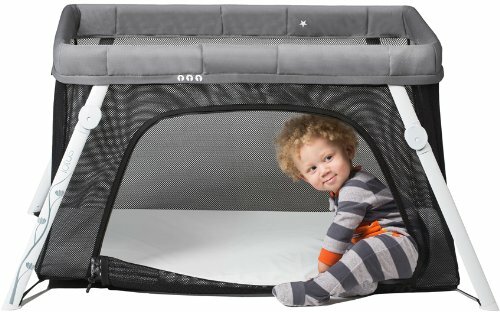 The pack and play has a mesh screen on all sides which keeps air flowing and means that kids are visible at all times. Although there are some great features, it is worth noting the pad is not height adjustable which means that it can not be raised for infants. The best feature of this pack and play is that it requires no assembly. It is ready to use straight out of the box. Whilst is does not include a bassinet it is a great option for traveling with young kids. The best pack and play for travel needs to be portable and that is exactly what the Lotus Travel Crib does best. This is an incredibly popular option and there are several things that make it so great. Firstly, it is lightweight. At only 13lbs this pack and play has one of the lowest weights on the market. This does not mean it lacks strength. 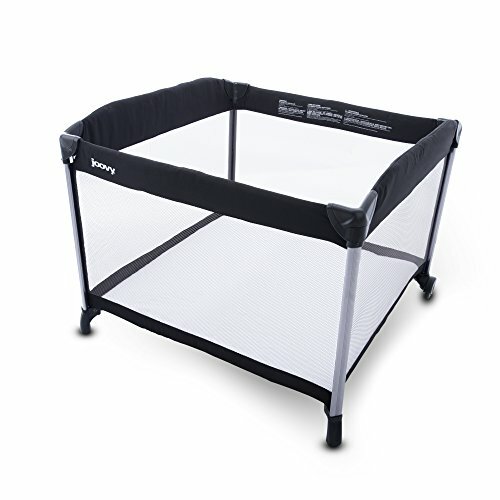 The pack and play has a mesh screen which keeps it strong and breathable. Within the mesh screen is a zip which acts like a side door. This is great for easy access and it also means that as kids get older, they can enter and exit as they please. Importantly, this pack and play is also safe as it is flame retardant. The included bag is handy also has backstraps which mean that you can wear it like a backpack whilst traveling. When folded the crib is around 23 x 12 x 8 inches making it a great option as luggage. However a sheet is required and the mattress is not the quality. The top and sides can be removed and machine washed making cleaning very easy, but as it does not come with a bassinet it is not an option for infants. The Lotus Travel Crib is simple and portable, and it is a great small pack and play for travel. Click here to see the latest prices or read our full review here. The Safety 1st Sweet Wonder is the first pack and play in our list truly suitable for infants. This is a great option at an affordable price and is a fully equipped pack and play. This is a cheap pack and play with bassinet and changing station to make it suitable for a newborn. The pack and play also includes a toy arch with two cute toys. This Safety First pack and play includes also has a parent organizer and wheels to make moving it easy. 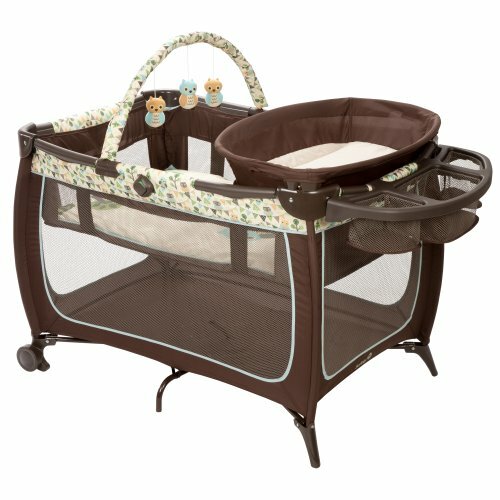 This top rated pack and play with bassinet has welcomed safety features such as indicating when the pack and play is set in place. There is also a mattress pad included, and its standard size means that other mattresses such as the Dream On Me 3″ Mattress can be fitted. The upper bassinet can be used up to with a child weighing up 15lbs making it great for small babies. These features do mean that the pack and play is a bit heavier than others, and it can take a while to figure out how to set up. Instructions can be found on the base of the mattress. Once set up, it is a stable option but can be moved easily making it great for parents. Baby Trend have some fantastic pack and play options for infants, and the Baby Trend Deluxe Nursery is probably the best pack and play for a newborn that you can buy. 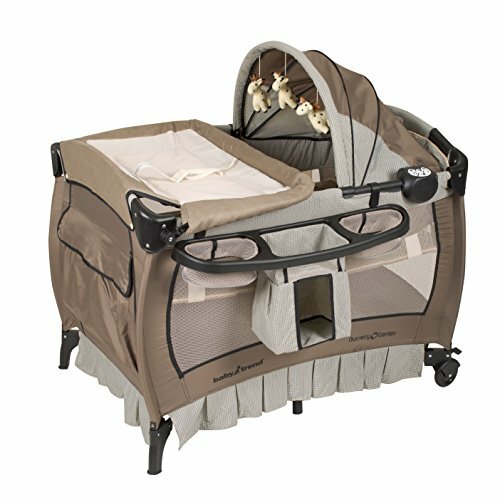 In addition to a changing table, this pack and play includes a bassinet with canopy, a music center and other features that make it great. An important feature of pack and plays is their portability. This pack and play includes a travel bag and all the extras needed to make travel with an infant easy. The pack and play has great storage with the organizer having separate compartments to store everything you need. The music center can be used to keep babies calm and occupied, and the changing platform can be easily ‘flipped’ away. 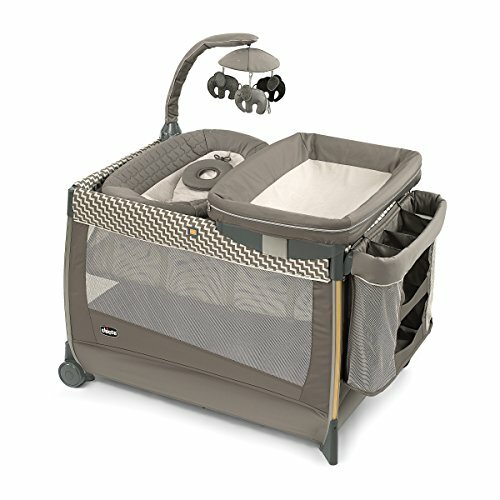 This is the best pack and play with a changing table and you can easily remove it from the slots. The Baby Trend pack and play does not include a sheet but it does include a mattress pad which is hard and suitable for a newborn. The very firm mattress pad may not be suitable for long term use however. There is a vibration feature which only has one setting, but it is nice to have and offers very gentle vibration. Moving the pack and play is easy as it is has wheels at the base. The nursery center pack and play is a great option until your child reaches about 2 years old. Graco offer some of the best pack and play options and definitely know how to produce great ones. This Graco pack and play is the ultimate bundle. The pack and play includes all the extras you need for an infant pack and play, such as a bassinet and changing station. It also includes an infant seat which can double as a bouncer. This is something not often seen and a great extra to have. The seat includes two levels of vibration to keep baby calm and the bouncer also has a canopy. Something that is essential in the best pack and play for infants is storage. This pack and play includes a large storage organization to keep everything easily accessible. This is one baby pack and play with bassinet options from Graco. The mattress can be inclined for young babies and although it is hard there would be no need to purchase an additional one for infants. The changing station is attached and very sturdy, but can be removed to increase space. The fabric is wipe clean and the pack and play even includes music to calm baby, and a light to help parents. The pack and play is easy to fold which is one of its best features as you simply push a button. From newborn to toddler, this is a great pack and play and with a carry bag included it is the ultimate option for travel. One of the complete options for parents is the Chicco Pack and Play. This is one of my personal favorites as it is reliable and includes so many extras. The pack and play includes a bassinet and quilted mattress making it suitable for infants whilst being more comfortable and full of features. This pack and play includes an infant napper. You are free to remove the infant napper from the pack and play and place it on the floor to use it independently. Included with the pack and play is also a baby changer. The changer is detachable and washable which makes cleaning simple. The mattress pad has a removable cover for cleaning. Purchasing Chicco pack and play sheets is not essential but it is worth mentioning that this pack and play does not include them. An electronic unit with a light and nature sound is found above, and there are also some cute plush toys. The parent organizer is handy and offers great storage, although it can be a bit of an overload on an already feature packed pack and play. This pack and play is portable but not the best option for travel as it is a bit bulkier. However with a solid and comfortable mattress it is the best pack and play for sleeping and a great option for long term use. Finding the best lightweight pack and play with great features can be a challenge, but the Safety 1st Prelude is just that. Something that is great about this pack and play is that it is elevated. This makes it harder for your child to get out and easier for you to access. This pack and play includes a changing table and a convenient accessory tray to keep the things you need within reach, which makes it great as an all in one pack and play set. However,the accessory tray does tend to fall of easily. The mesh basket is handy and can be used to hold essentials such as wipes. The play yard is slightly more difficult to assemble than others, but once set up can be easily locked into place. There are wheels at the base making it easy to move once assembled, and a carry bag makes it a suitable option for travel. Another great feature is that you can actually see when the pack and play is locked into place. This is common on Safety 1st pack and plays and makes them an even more secure option. There is a mattress pad included and whilst this is an approved design, it is hard and may not be the best option for older kids to sleep on. This pack and play include several extras not usually seen at the price which makes it a great cheap pack and play. The final pack and play in our reviews is the Joovy New Room2 Portable. This is one of the largest pack and plays available. It is about twice the size of most pack and plays but remains a portable option. 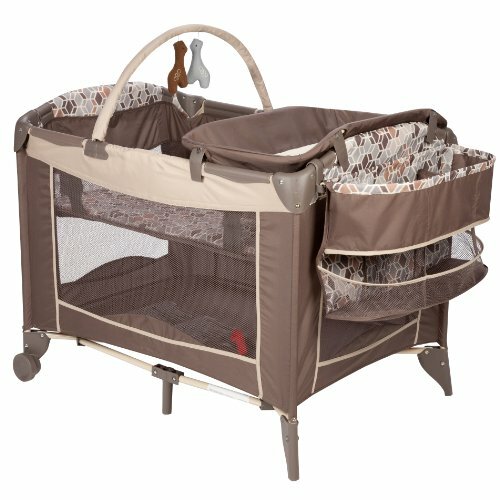 The size of this pack and play makes it more like a traditional play pen but with modern features. Even at the larger size, this pack and play folds well and includes a carry bag for travel. At a large size, the pack and play is of course heavier and the heaviest in our list. The play space is huge. There is over 10 square foot of space to play giving kids plenty of space to move around. It is easy to see why this is an advantage for families with multiple children and older kids. It is perfect for even two children with plenty of space to play together. A low center of gravity makes it sturdy and there is a mattress included which is about 2 inches thick. This makes it suitable for play but not the most comfortable for sleeping. Having said this the mattress has been tested and meets the required standards so sleeping is possible, and there is also a cotton sheet included.Whilst the pack and play can be used for sleep, I would not recommend using this as the primarily sleeping area. Obviously the larger design means it is heavier to carry around than a standard pack and play. The pack and play is on the heavier side to travel with, but any level of portability at this size is welcomed. There are also two wheels on one side to move it around once it is set up. This is a large pack and play and perfect for both active kids and multiple children.